This post contains affiliate and referral links. Please do your own research before purchasing products or using services. Your opinions and results may differ. It's been a while since I've done a "Delightful Discounts and Deals" post, but there's so many going on right now that I thought it was appropriate. Christmas will be here before we know it. Don't pay full price; find the right gift at a great markdown. I've shopped online at Hollar more than a dozen times since March. It's my online addiction shopping site. It's an awesome site filled with thousands of cool stuff, from toys and clothing to home decor and kitchenware. When you sign up at Hollar for the first time, you'll receive a $2 store credit. Shipping is free on orders over $25. If you see something you like, be sure to order. Their inventory changes often. Make your home a softer place with a new Snuggle buddy. You can get a free Snuggle Bear (a $20 value) with your purchase of Snuggle products. Print and fill out the downloadable PDF entry form and send with your Snuggle product receipts to requested address. Include a personal check or money order for $5 shipping/handling fee, made out to Snuggle Bear. Mrs. Fields, known for their cookies and treats, has some delicious deals in time for the holiday. Pre-Seed Fertility-Friendly Personal Lubricant is tailor made for couples trying to conceive. Mimicking natural fertile fluids, it allows swimming sperm to move freely and its pH balanced to match fertile cervical mucus and the pH of sperm. 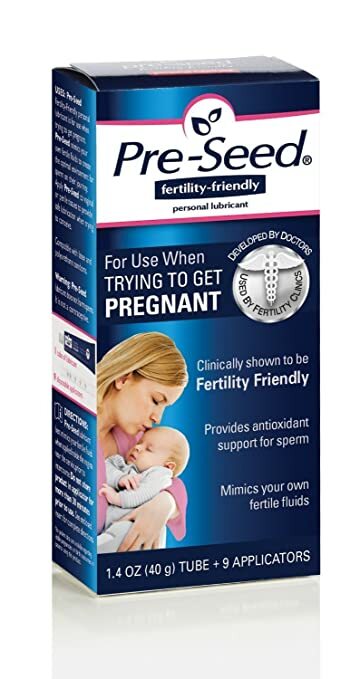 Receive a $2 coupon off Pre-Seed fertility friendly lubricant. Smashbox, a makeup company, has Black Friday and Cyber Monday discounts. Think Pink Bows offers pretty hair pieces and apparel. 10% off for New Customers with code: NEW10 . Expires April, 2020. Receive a FREE ice cream scoop with basin (a $15 value) with orders over $25 At Zak.com. Promo Code ZAKUB. Valid 11/1/16 Through 11/30/16 - SAVE NOW! Back to the Roots is passionate about "Undoing Food" and creating sustainable, delicious products to help kids and families reconnect with their food and how it's grown. Use exclusive promo code HeckOfABunch10 to receive 10% off of their entire Ready to Grow collection. Offer valid through 1/31/17. I really want the Back to the Roots. I will have to put that on my list. Thank you for the review. Lots of goodies here, especially those Mrs Field's cookies. Makes a great gift for someone or yourself. I have not heard of this site before. I will check it out!